This post has been made possible by AndroidPIT, your one-stop resource for all things Android. As a hardened Android user (and Apps Editor at TNW), I download a lot of apps. Some are great, and some are, well, not so great. But there is only so much capacity for app uptake, which means that even some great apps sit largely unused on my device. Other apps I use almost every day without even thinking about it. Typically, the apps I use most frequently just happen to be the ones I discovered first – ‘old habits die hard’ and all that. But there is one thing most of my most used apps have in common – they’re all conducive to organizing, sorting, filing…getting things done. Have you ever come across an article, video, recipe, pair of shoes – you name it – and wished you could quickly save it to access again at a later point? I know I have. Read it Later rebranded as Pocket back in April, bringing in a much slicker interface while repositioning itself as an all-singing, all-dancing content-bookmarking service. When you create an account with Pocket, and install the little bookmarklet in your browser, you can synchronize all your saved articles, web pages, videos to access across multiple platforms. This means less time trying to remember where it was you read that amazing opinion piece earlier that day. I couldn’t do without Pocket now. This is one fine app that made a name for itself on Android first, before shuffling over to iOS earlier this month. Any.DO is a beautifully simple to-do list app that removes all the needless fluff and retains the core appeal of a blank sheet of paper and a pen. It’s not quite that simple though – you can schedule reminders and such like so that you do actually get ’round to ticking items of your list. By ‘ticking’, I mean ‘swiping’, of course. We’ve covered these guys on a few occasions before. Buffer for Android lets you schedule tweets at set intervals throughout the day – so if you are looking to share a number of articles or links with your followers but don’t want to overload them, by filtering them through Buffer you can decide how frequently they’re tweeted out. And given there is an online version for desktop, with an account you can build your buffers from as many connected devices as you like. 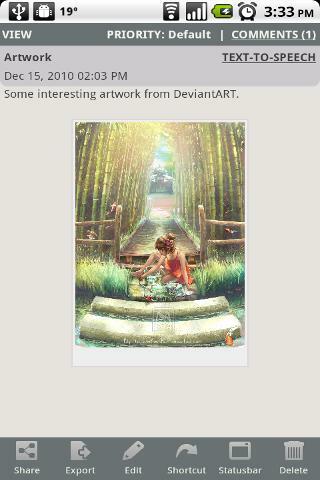 Buffer really is a neat app, and it’s an easy way to continue tweeting when you’re not even online. 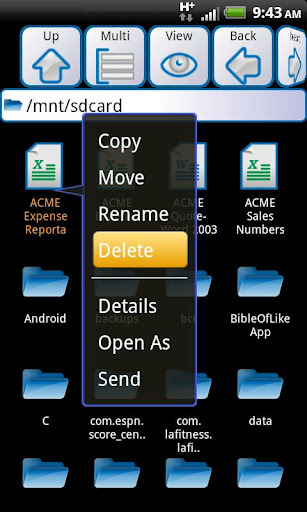 Android doesn’t have a decent built-in mechanism for managing the files on your phone. And whilst there is no shortage of apps out there to help you organize the content of your device, Astro File Manager is about as good as you’ll get. Indeed, with more than 30m downloads, that pretty much speaks for itself. So…what does Astro let you do? Well, it offers an easy-to-use conduit to access your photos, music, videos, documents and so on, offering a mobile alternative to the likes of Windows Explorer for your Android smartphone or tablet. Moreover, it helps you monitor which processes are draining your battery so you can stop them. There are many other features too, ones that you didn’t really think you needed until you realized it was possible to do. For example, if you long-hold a blank space on your Android’s homesceen, you’ll be given the option to create a shortcut directly to a file using Astro File Manager. This means you can store a PDF or other media file directly on your smartphone’s ‘desktop’. A really great app for streamlining the way you work. I struggled with including Evernote in this list, simply because it’s so well known. But it’s an indispensable app for organizing your life and taking notes on the fly. It also lets you take image and audio-based notes, letting you snap or speak a message to follow-up on at a later point. What more to say…a great app. I like apps with names that completely describe what they do. 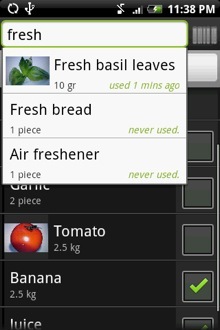 Shopping List is one of many list-based apps out there on Google Play, and whilst on the hunt for a dedicated grocery-list app lately, I stumbled upon this one. Up until I downloaded this, Evernote was pretty much fit for purpose in terms of jotting down what to procure at the supermarket. Shopping List, however, helps you organize multiple shopping lists and synchronize them with another person’s device too so that you’re both contributing to, and shopping from, the same list at all times. You can add new items you need to buy, set quantity, categories to item and lists. And if you’re not entirely sure what an avocado looks like, you can add images to ensure you don’t inadvertently arrive home with a plum. Throw into the equation a barcode scanner, a ‘memory’ which lets you reuse items you’ve manually entered previously and other customization options, we have a really neat app on our hands here. It’ll certainly do until an Android equivalent of the sublime Buy Me a Pie for iOS arrives on Android. What’s there to say about Dropbox that you likely don’t already know? Heck, even Bono and the Edge from U2 dig Dropbox. In short, Dropbox lets you centralize and synchronize all your files – your photos, documents, videos, music, you name it – in the cloud. Once you install and sign-up for Dropbox from a computer, you’ll be able to access your files anywhere. And with the Android app, you can back-up files and share content to access on other connected devices. Evernote acquired these guys last year, and it’s an app I’ve only recently started using. Skitch is an image-editing and annotation tool letting you add your own text and doodles to existing images on the fly. So, if you want to send someone a quick map of where exactly you live, you can snap a shot of Google Maps, circle your house, attach an arrow and write ‘I live here’ next to it. Or, you can simply draw a mustache on a snap you’ve just taken of a friend at a party. The choice is yours. Another use case is this. You can take a photo of someone you meet at a networking event, and annotate the image with their vital statistics and save it to Evernote. Simple. This is one seriously good productivity app. I didn’t want to dwell on too many list-based apps, but this one is a goodie and should be mentioned. If the likes of Evernote is too basic for you, then Extensive Notes could be for you. As with the Shopping List app discussed above, this app’s moniker pretty much gives the game away as to what its main offering is. We’d may as well get one minor gripe out the way first here – there’s almost too much functionality with this app, but that just depends how you look at it. Yes, you can take a simple note. But with its built-in unit converter (e.g. kilos>pounds), Ohms law calculator, artist image lookup, random password generator, slang-term looker-upper AND shopping list feature, this is pretty extensive. But we only scratched the surface with what this baby can do. It’s like a million apps in one. 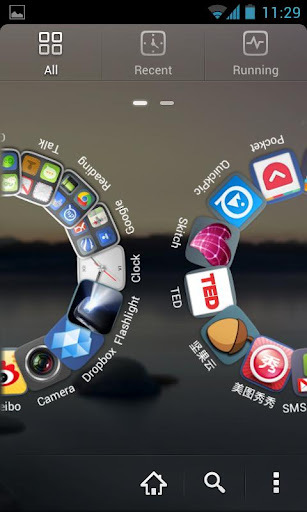 For some folk, Android doesn’t offer enough customization options to tailor things just the way they like it. And that’s where Go Launcher EX could help. This is among the most popular home applications on Google Play, letting users customize the homescreen, change themes, activate a smooth transition animation, as well as offering various widgets (e.g. weather, calendar) and screen locks. Heck, it even lets you tweak the size of the app icons on your device, something that isn’t natively enabled with Android. If you haven’t used this before, we think you’ll like it.